A morning spent in the garden need not mean an afternoon of sweeping and mopping your floors. 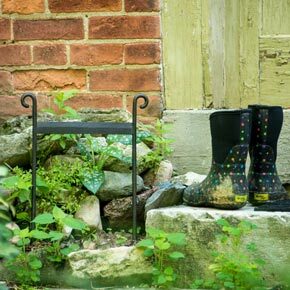 Our exclusively designed Sussex Boot Scrape keeps shoes free of caked on dirt and mud. 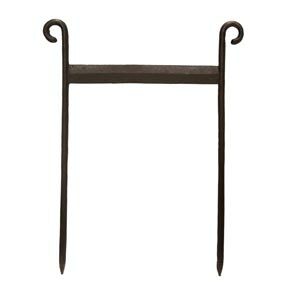 Constructed of strong wrought iron with a simple yet pleasing design, this wonderful piece blends nicely with any architectural style and will last for years. 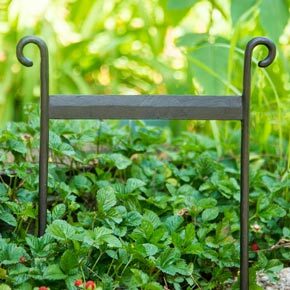 Easy to install—just push it into ground near a doorway or patio. When planting, weeding or watering is done for the day, simply scrape your shoes or boots against the flat top edge and enter your home without fear of tracking in the day's dirt with you. 16"Hx12½"Wx½"D.